On 02-29-2012, approximately 8:45.m. a Humboldt County Sheriffs Deputies were dispatched to an attempted residential burglary interrupted by the homeowner which just occurred. The 70 year old husband and wife reported a male had just broken into their home located in the 2000 block of Fieldbrook Road, Fieldbrook. The male victim heard a noise in his kitchen and entered the kitchen thinking it was his wife. The male victim came face to face with the male suspect who had just forced entry into the victims’ home via the back door. After meeting each other face to face in the kitchen, the suspect fled the home. The victim saw the suspect enter the passenger side of a white Chevy pickup truck which was backed into the victims’ driveway. There was a female driving the truck which drove towards McKinleyville on Fieldbrook Road. Sheriffs Dispatch broadcast the vehicles description and direction of travel. A deputy responding to the call from McKinleyville saw the truck approaching from the opposite direction on Fieldbrook Road. The female driver saw the approaching patrol car and turned onto Wilson Lane to avoid the deputy. The pick truck drove into a driveway in the 300 block of Wilson Lane, Fieldbrook. The deputy contacted and detained both occupants as they were exiting the truck. It was determined the occupants did not live at the Wilson Lane address. The male matched the suspect description provided by the victim. The victim was transported to the scene by deputies. The victim identified the male suspect who deputies identified as Shad Lynn Sovereign, 30 years old from Eureka, who was on parole. Sovereign is being held without bail. The female driver was identified as Reshawn Lindsay O’Kelly, 35 years old from Eureka. 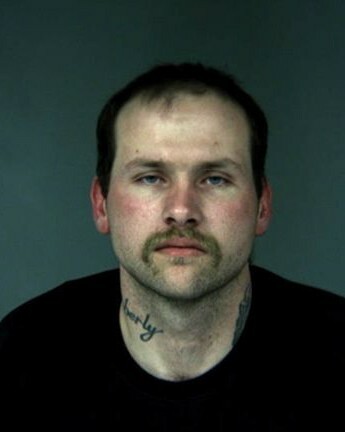 Deputies learned Sovereign had also gone to a neighbor’s residence just prior to the victims. Sovereign knocked on the neighbor’s front door and asked if “Rodney lived there.“ When told he did not, Sovereign left. The neighbor and deputies believed Sovereign was checking out homes to burglarize. Sovereign was booked into the Humboldt County Correctional Facility on attempted residential burglary and violation of parole. 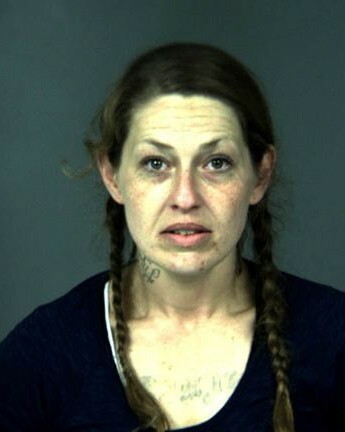 O’Kelly was booked into the Humboldt County Correctional Facility on attempted burglary; her bail was set at $75,000.00.